Thank you for taking the time to review the draft plans for Hampton-in-Arden. We invite you to share and help shape the proposals. The Solihull Local Plan identifies the need to provide more homes, including an allocation for Hampton-in-Arden. 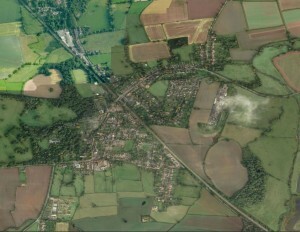 The site, to the west of the village is formally identified as a suitable site to accommodate additional residential properties. 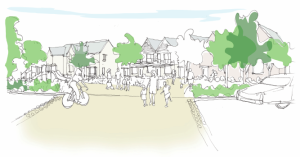 Brooke Smith Planning are preparing a planning application on behalf of the landowner to provide residential development with associated infrastructure and public open spaces. The aim of the public consultation exercise is to help evolve the potential form of the outline proposals, notwithstanding the principle of the development. We are asking people who live and work in the area to assist with its formation. All comments received by the 19th September 2016 will be carefully considered as part of the application preparation process and the form of the final plans. Following this consultation exercise, the final form and content of an outline planning application will be produced. Ultimately an outline planning application will be submitted for consideration, at which point, the Council will undertake further consultation with statutory, non-statutory parties and local residents. The outline planning application will seek approval of the principle of development with details such as road and house locations subject to a later separate submission and consideration, provided that outline planning consent is granted.